Explore the power of Heroku. 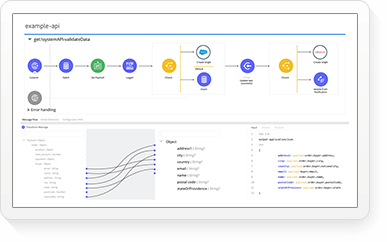 Connect apps, data, and devices across multiple clouds, orgs, and systems. Reinvent learning and enablement at your company. Fisher & Paykel reinvents its service experience for customers across the globe. See how Fisher & Paykel reinvents its service experience for customers across the globe. Sell smarter with CRM in your email inbox. 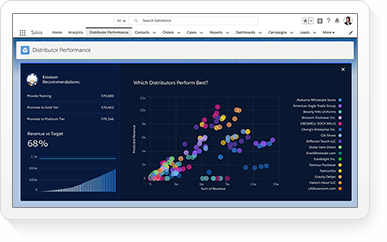 Create opportunities and update pipeline data from anywhere. 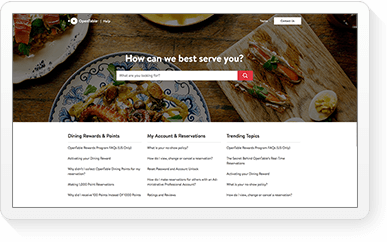 Create context for your entire team with seamless email logging, and make sure deal-critical emails get the right response faster. Do more with every email. Time is of the essence when you're working on the go. 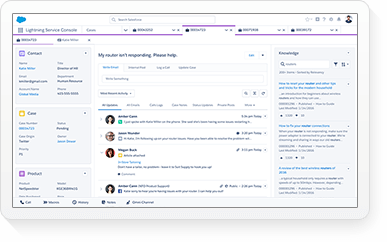 Salesforce Inbox helps you focus on what matters by enabling faster access to key information about prospects or customers. Stop manually switching between apps. 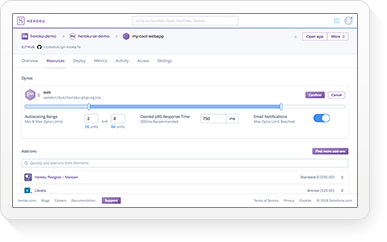 Access relevant CRM data, update your pipeline, and log emails, all without leaving your inbox. Eliminate the hassle of coordinating customer meetings. Use Insert Availability to share your calendar and find a meeting time without going back and forth. Never miss another important email with follow-up recommendations for customer emails that need an immediate reply. Sales Cloud provides your company with a mobile CRM solution that provides everything needed to close more deals, faster, from anywhere. 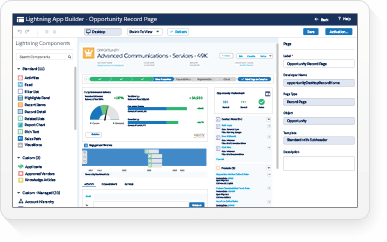 Sales Cloud CRM mobile application will let your reps manage their day, manage sales, access dashboards, search for and access files, and much more. The Sales Cloud mobile app is the best way to make more sales and stay connected to crucial data no matter where you are. Small Business CRM: Learn how Salesforce CRM can help SMBs increase sales and profits. Customer Analytics Software: Customer analytics software. A real-time picture of your business at a glance. Sales Process Management: Design and run any business process with point-and-click simplicity using sales process management. 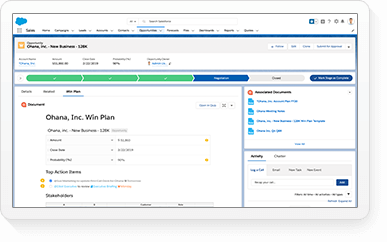 Sales Contact Management: Salesforce CRM gives your entire company a 360-degree view of each of your customers with online contact management. 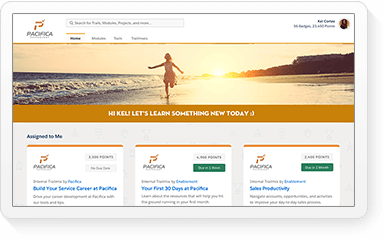 Lead Management Solutions: Never lose a lead again. 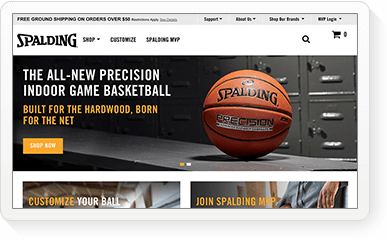 Online lead capture, lead qualification and tracking, and more with SFA. 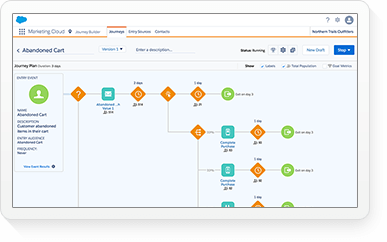 CRM Process Automation: CRM Process Automation to deploy personalised campaigns, understand prospect interactions, and get alerts on active leads. 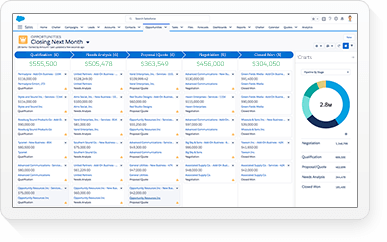 List of CRM Features: Compare the world-class features that make Salesforce the industry's choice for sales, service and marketing solutions.